Soul Food for Hungry Adult Communities: March 3, 2013, Third Sunday of Lent, Year C (Year of Luke). Jesus didn’t give a fig about fig trees,- but he does about us! A farmer had a fine field, which he ploughed every spring. He loved it, but he had just one problem. 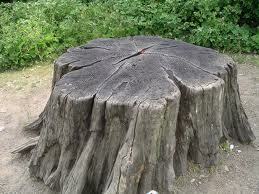 There was the stump of an old oak tree in the middle of it. Each Spring, he would plough around this tree-stump, and promise himself he would remove it,- sometime. He put if off from year to year, until eventually he made up his mind,-’ I’m going to take that out of there, this year.’ With the help of a few friends, and a good digger, he cleared the field, -at last. ‘What’s another year?’ was the song, years back. What’s another Lent? Maybe this is the year to deal with something in my life that is there for a long time, something I am not proud of, something that I now repent of. And with God’s help, I’m going to take it out of there, I’m going to clear this field that is my heart. We are a community of people who, with the encouragement and support of others, clear our hearts of those ‘stumps’. We know what they are in ourselves. We make our Lenten ploughing alongside each other. This Gospel is situated in a long passage about conversion. It lies between two very strong parables,- the Rich Hoarder who doesn’t know that he is to die tonight (Luke 12-16) and the parable of the poor man Lazarus and the Rich Man who ignores him completely (Luke 16:19). And Jesus tells the people in today’s Gospel (Luke 13:1-9) that, for all their stories of recent local tragedies, of falling towers and massacres by the Romans, that the real tragedy is when people do not look to their hearts and change them radically. The Owner wants the ‘fig tree’ to finally begin to bear fruit after years of waiting. And the Gardener pleads for just one more year, one more chance. Like this Lent. It’s not about figs but us! 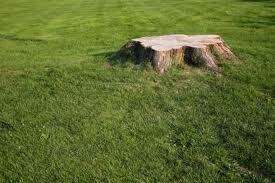 It’s not about tree-stumps but hardened and dead hearts. Next week, watch out for the Mammy’s version of the story of the Prodigal Son! I wrote this some few years back, in response to a young person saying to me ‘Thank you for talking to us about sin,- we seldom hear about it.” (J.C. is Jesus Christ, the initials for Christ so often found on icons). 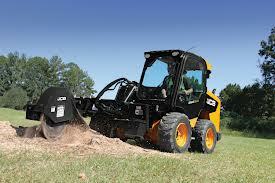 the Digger in, for sin? Come Lord, I won’t delay.